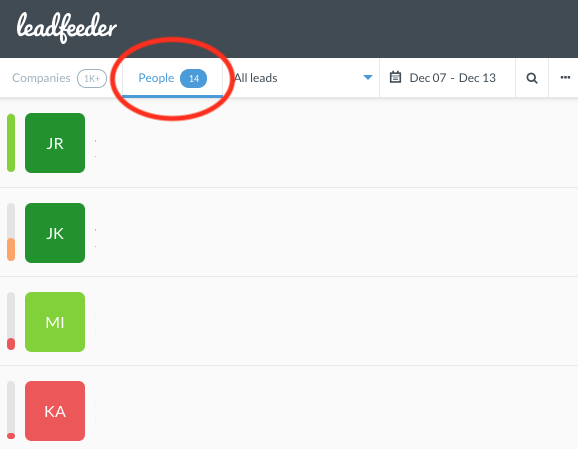 You can see how to integrate Mailchimp with Leadfeeder here. It's quick and easy. 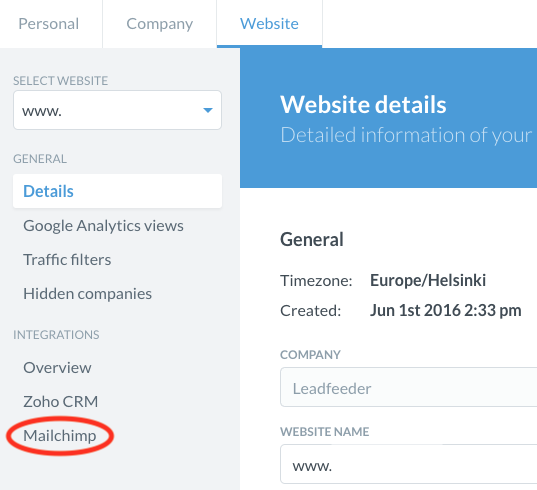 Remember to integrate Mailchimp to Google Analytics, too. Instructions can be found here. STEP 2: Go to tab Website and click Mailchimp on the left side. 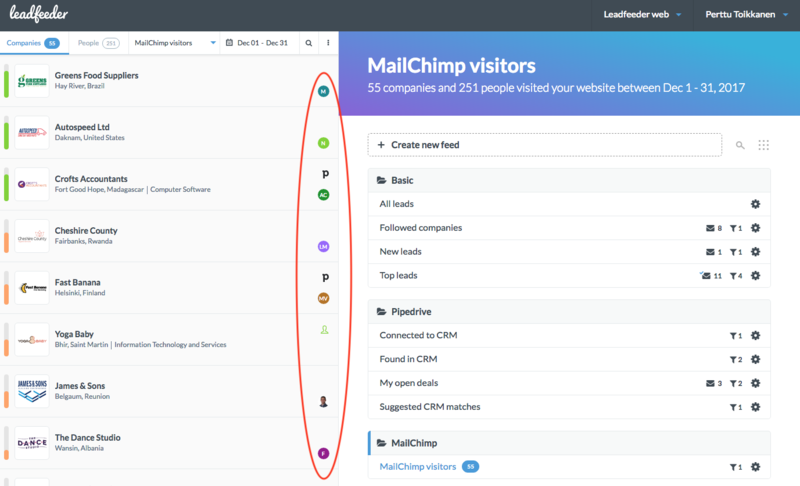 In this view you can see the lists you have created in Mailchimp. You can sync, add another Mailchimp account and see all your Mailchimp lists and number of members per list. 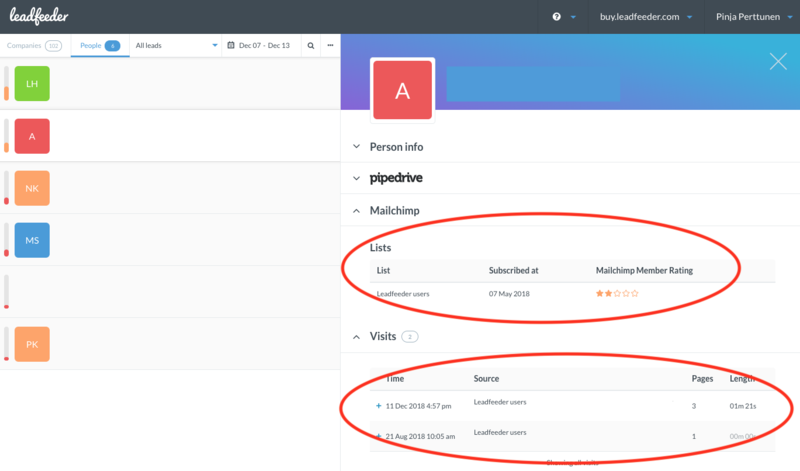 To start using the data provided by the MailChimp integration for Leadfeeder just head back to the main screen of the app by clicking the Leadfeeder logo at the top left. In the above screen shot you can see a list of leads (companies) and colourful initials representing real people who've clicked through to your website from a Mailchimp campaign. By hovering over the letters you can see the name and email address of a person who clicked through to your website via one of your email campaigns in Mailchimp (we won't show that here to protect people's privacy). For each person we see the email address and for many we see both name and email address. When you click on a company with a Mailchimp icon on it and expand its details you can see what that person has been looking at on your website. When you click on People, you see a list of people who’ve come to your website via your Mailchimp campaigns.